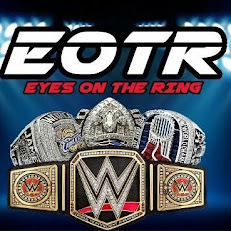 Last week, I took a look at the tag teams of the 80s and I left off a team that was my favorite makeshift team during the era. While I wasn't quite born or alive by the time they actually became allies, years later through the benefit of Coliseum Video, I was able to relive the greatness of the Mega Powers, Randy Savage and Hulk Hogan. While both Hogan and Savage were top stars as singles wrestlers, I never would have expected them to become a tag team and partners. 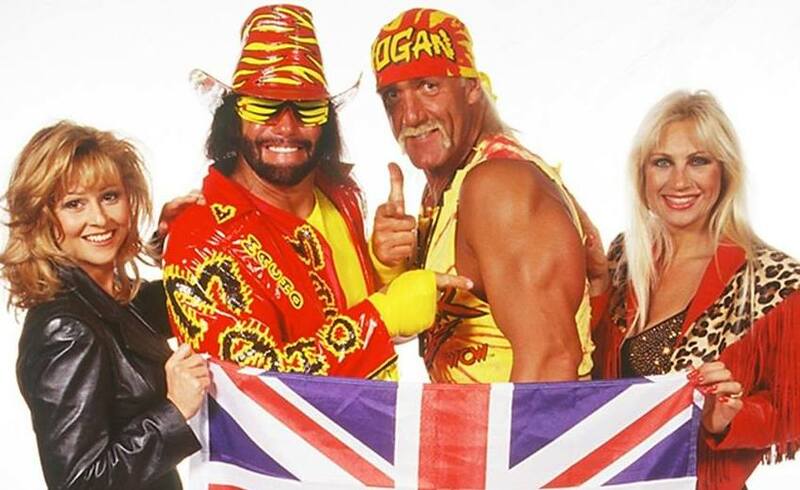 At the time, Savage was a heel, transitioning to a tweener role, and of course, Hogan was Hogan. With these two stars being on different paths, it would take a random encounter to occur before they would be able to combine forces and when I say random, it really was the most random beginning of a pairing. There hadn't been any buildup or teasing of a friendship budding between the two men before Saturday's Night Main Event would give us an iconic moment. Savage would attempt to get the Intercontinental Title back from Honky Tonk Man in the early fall of 1987, but his attempt was thwarted on an episode of SNME by interference from the Hart Foundation. After Miss Elizabeth was pushed by Honky Tonk Man, she retreated and for some reason, returned with Hulk Hogan in tow to save the day. Hogan would help clean house and then Savage would extend his hand out of respect for what Hogan did. They would shake hands and become instant allies there, and for many, this was a match made in heaven. 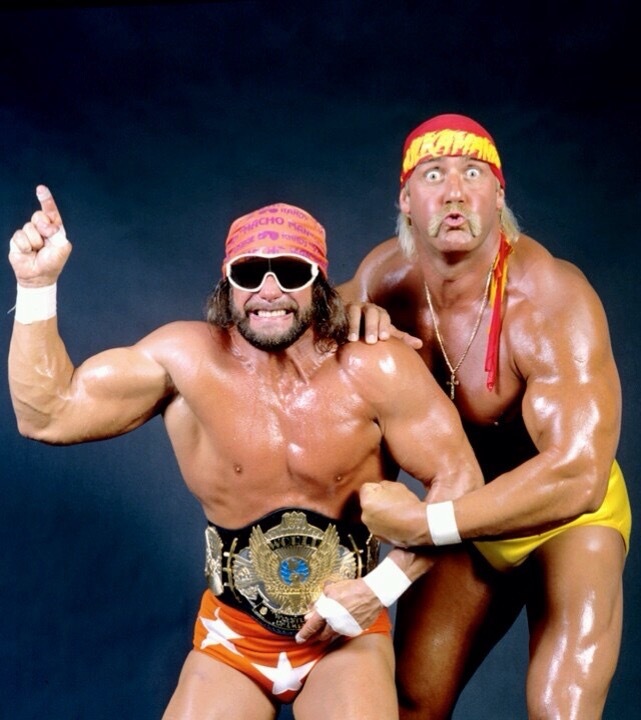 Hulkamania and Macho Madness were two of the most important things in the WWF at the time, and with Savage trying to make the transition into the top tier face role, who better to have at his side than Hogan, the star of the company. After these two would make themselves allies, Hogan and Savage teamed up numerous times on house shows, mostly in six man tag matches against the likes of The Hart Foundation, Honky Tonk Man, Rick Rude, King Kong Bundy, and more. Their next big televised moment came right before Wrestlemania 4, on SNME, as Hogan would once again save Randy from an attack, this time at the hands of Andre The Giant, Virgil, and Ted Dibiase. At Wrestlemania 4, Hogan would help Savage overcome the odds and defeat Ted Dibiase to win the WWF Title tournament and become the new WWF Champion. 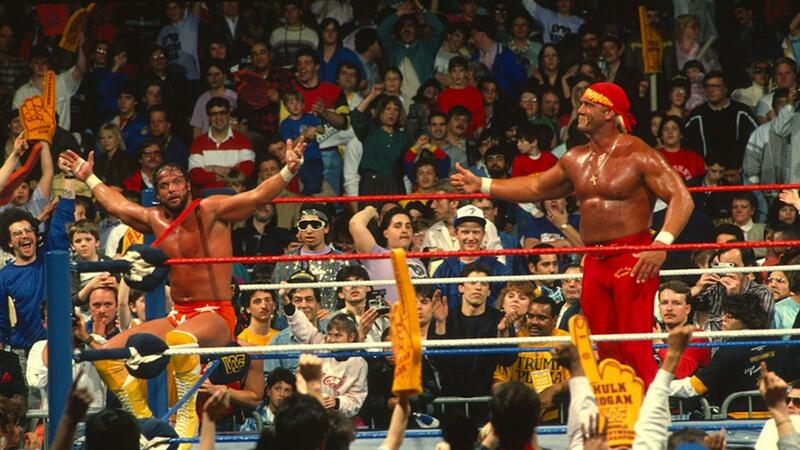 In retrospect, The Mega Powers only existed so that Hogan could be close to the title and not away from the main event scene, as Savage really felt like a secondary star even as the champion. Still, these two powerhouses complemented each other well, and when Savage and Hogan were on screen together, there was a lot of chemistry between the two. This would lead them to their official televised tag team debut on Summerslam 1988, as the Mega Powers went toe to toe with the Mega Bucks, Andre The Giant and Ted Dibiase. 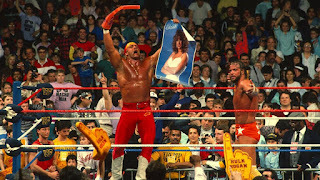 The match is one of the most infamous Summerslam main events and rightfully so, as Miss Elizabeth stripping down was controversial for the time, but most fans weren't complaining at all. Hogan and Savage would win and continue rolling on, but something was brewing big time. 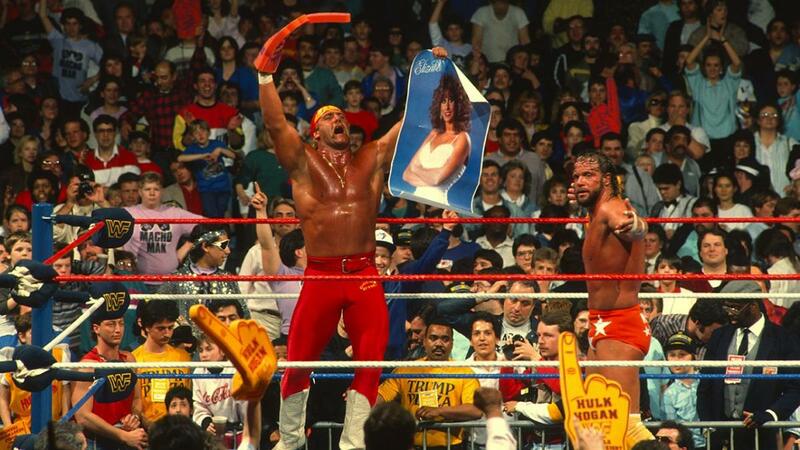 After the next few months, we would start to see tension rise between the two men as Hogan became more friendly with Miss Elizabeth, making Savage rightfully jealous. 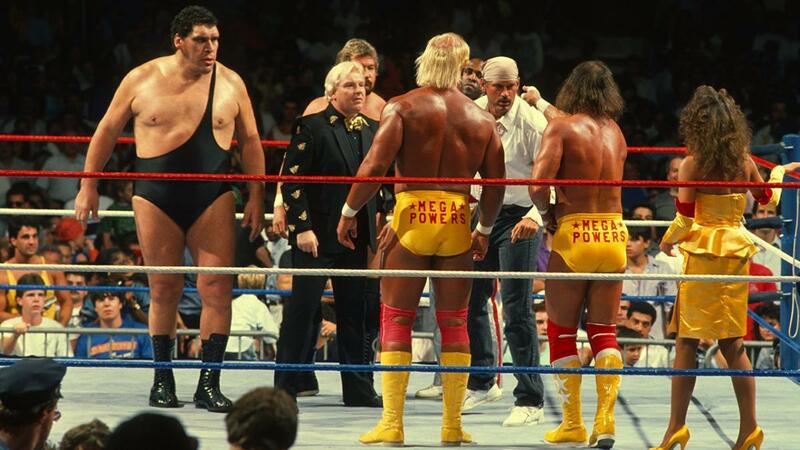 At Survivor Series 1988, we would see Hogan and Savage lead a team that would face a team led by the Twin Towers, Big Bossman and Akeem. Hogan and Savage would win the match, but visibly, we could see the wheels turning. It seemed like the plan was now for Hogan and Savage to eventually split. Lost in all of this Mega Powers nonsense is that essentially, Savage was WWF Champion, and he spent all of the big events in the shadow of Hogan as a tag team instead of headlining the shows on his own. That would likely also be a real life reason for tension, but for the most part, during their feud with the Twin Towers, it was swept under the rug while teasing the eventual breakup. After another incident at the Royal Rumble 1989, the breakup would finally come to a head during an episode of The Main Event, a special on NBC. After Savage left Hogan to fend for himself in a tag team match, Hogan would attempt to reason with Savage and Elizabeth. While Elizabeth was understanding, Savage responded by attacking Hogan in the locker room and officially ending the Mega Powers after a little over a year. 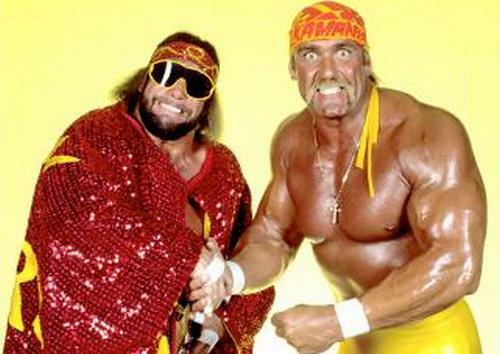 While the Mega Powers aren't a team with longevity like Demolition, Hart Foundation, and many others, anytime you take the two biggest stars and put them together, you're bound to have something special. 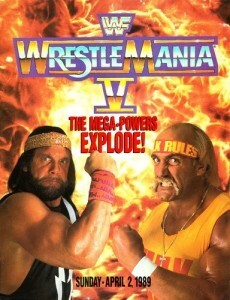 For the most part, The Mega Powers were everything we expected and more, and it all led to an epic clash between Hogan and Savage at Wrestlemania 5, which is one of my favorite Randy Savage matches and easily one of the best Hulk Hogan matches in the WWF. The Mega Powers were an important tag team in the late 80's, showing how two great singles stars can combine for an alliance.